ALAMEDA, Calif. – The Oakland Raiders have re-signed free agent QB EJ Manuel, the club announced Thursday. In his first season with the club in 2017, Manuel served as the backup to QB Derek Carr and appeared in two games with one start, throwing for 265 yards on 24-of-43 passing with one touchdown and one interception. Manuel was originally drafted by the Buffalo Bills in the first round (16th overall) of the 2013 NFL Draft. For his career, the 6-foot-4, 237-pounder out of Florida State has appeared in 30 games, making 18 starts over his career, and has registered 3,767 passing yards and 20 touchdowns through the air, adding four more scores on the ground. From 2014-2015, Manuel combined for six starts and tossed eight touchdown passes. In 10 appearances during his 2013 rookie campaign, he tallied 1,972 passing yards on 180-of-306 passing with 11 touchdowns and set franchise rookie records for most passing touchdowns and completions in a season. The native of Virginia Beach, Va., Manuel finished his career at Florida State playing in 43 games, throwing for 47 touchdowns and 7,741 yards on 600-of-897 attempts (66.9 percent). He led the team to a 25-6 record as a starter, posing the third-most wins in school history. Manuel became just the second quarterback in FBS history to win four straight bowl games. 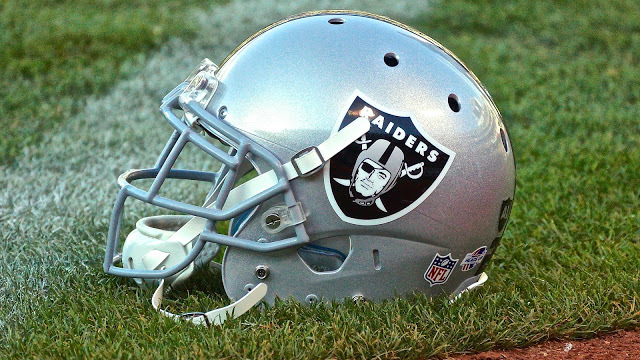 ALAMEDA, Calif. – The Oakland Raiders have signed unrestricted free agentCB Shareece Wright, the club announced Monday. NAPA, Calif. – The Oakland Raiders have made the following transactions, the club announced Friday. Enemkpali: Originally drafted by the New York Jets in the sixth round (210th overall) of the 2014 NFL Draft…Has appeared in 17 career games for the Jets and Buffalo Bills, totaling nine tackles…Spent the entire 2016 season on the Reserve/Inured List…Played in 47 games with 33 starts over four seasons at Louisiana Tech. Johnson: Originally drafted by the New Orleans Saints in the sixth round (183rd overall) of the 2013 NFL Draft…Has appeared in one career game, which came in 2015 for the New England Patriots…Played in 20 games with 19 starts over two seasons at Tarleton State after transferring from Kilgore (Texas) Junior College. ALAMEDA, Calif. – The Oakland Raiders have signed unrestricted free agent QB EJ Manuel, the club announced Monday. Manuel was originally drafted by the Buffalo Bills in the first round (16th overall) of the 2013 NFL Draft. The 6-foot-4, 237-pounder out of Florida State has appeared in 29 games, making 17 starts over his career, and has registered 3,502 passing yards and 19 touchdowns through the air, adding four more scores on the ground. 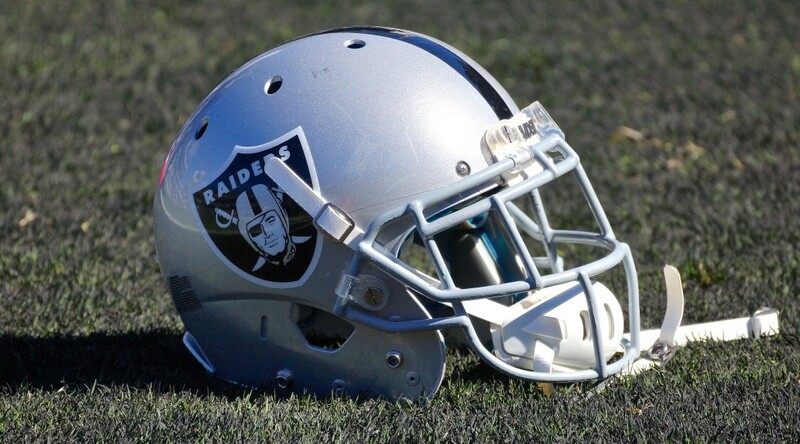 ALAMEDA, Calif. – The Oakland Raiders have signed WR Marcus Thigpen, the club announced Wednesday. Thigpen joins the Raiders following stints with the Philadelphia Eagles, Miami Dolphins, New England Patriots, Tampa Bay Buccaneers, Buffalo Bills and Indianapolis Colts. He originally entered the NFL as an undrafted free agent with the Eagles in 2009. For his career, Thigpen has played in 45 games – 32 of which were with the Dolphins in 2012 and 2013. He split time in 2014 with the Buccaneers and the Bills and began 2015 playing the first four weeks with Buffalo. His career totals include 92 kickoff returns for 2,224 yards (24.2 avg.) and one touchdown and 85 punt returns for 847 yards (10.0 avg.) and two touchdowns. As a receiver, Thigpen has totaled nine receptions for 112 yards (12.4 avg.) and one touchdown. The 5-foot-9, 200-pounder played four seasons at Indiana, finishing second in school and fifth in Big Ten history with 2,009 career kickoff return yards. He also finished third in school history with 4,658 career all-purpose yards and tied for eighth with 21 career touchdowns. The Detroit, Mich., native became the first player in school history with over 1,000 rushing yards (1,621), receiving yards (1,028) and kickoff return yards (2,009). ALAMEDA, Calif. – The Oakland Raiders have signed unrestricted free agent Tight End Lee Smith, the club announced Wednesday. 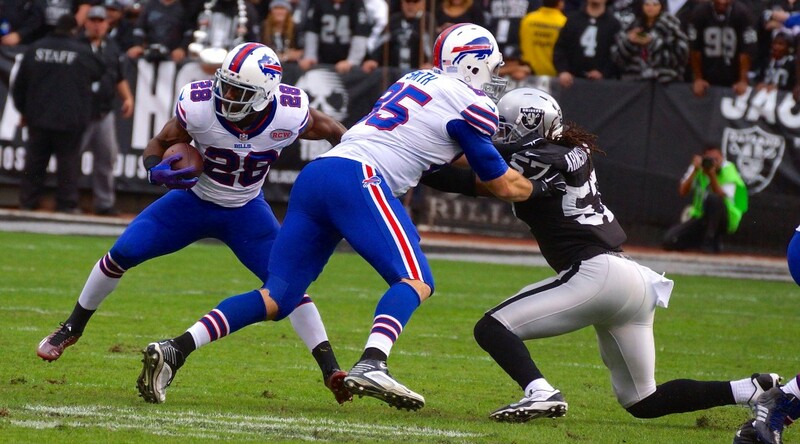 Smith, 27, joins the Raiders after four seasons with the Buffalo Bills (2011-14). Smith’s career totals include 56 games played with 34 starts, 20 receptions for 144 yards (7.2 avg.) and three touchdowns. Smith joined the Bills via waivers from the New England Patriots shortly before the 2011 regular season. In 2014, Smith appeared in 14 games and led all Bills tight ends with 10 starts. He hauled in seven catches for 42 yards, including an 18-yard touchdown in the Bills’ season-ending victory over New England. Smith appeared in every game for the Bills from 2012-13, starting 21-of-32 games played during that span. He recorded two receiving touchdowns in 2012, a career high, and totaled a career-high 78 receiving yards in 2013. The Powell, Tenn., native was originally selected by the Patriots in the fifth round (159th overall) of the 2011 NFL Draft out of Marshall. Smith totaled 75 receptions for 791 yards and three touchdowns, and served two seasons as a captain on the Thundering Herd. In his senior year, Smith ranked second on the team with 38 receptions for 358 yards (9.4 avg. ), earning him All-Conference USA honors and an Allstate Good Works Team nomination. Q: Can you describe how this deal came together? Q: You were used a lot as a blocking tight end in Buffalo. Do you see that as your strength? Can you do more on the receiving end than you’ve shown so far? Q: What is the one part of your game you take the most pride in? Q: If playing in offensive coordinator Bill Musgrave’s traditionally run-heavy offense is a natural fit for his blocking capabilities?